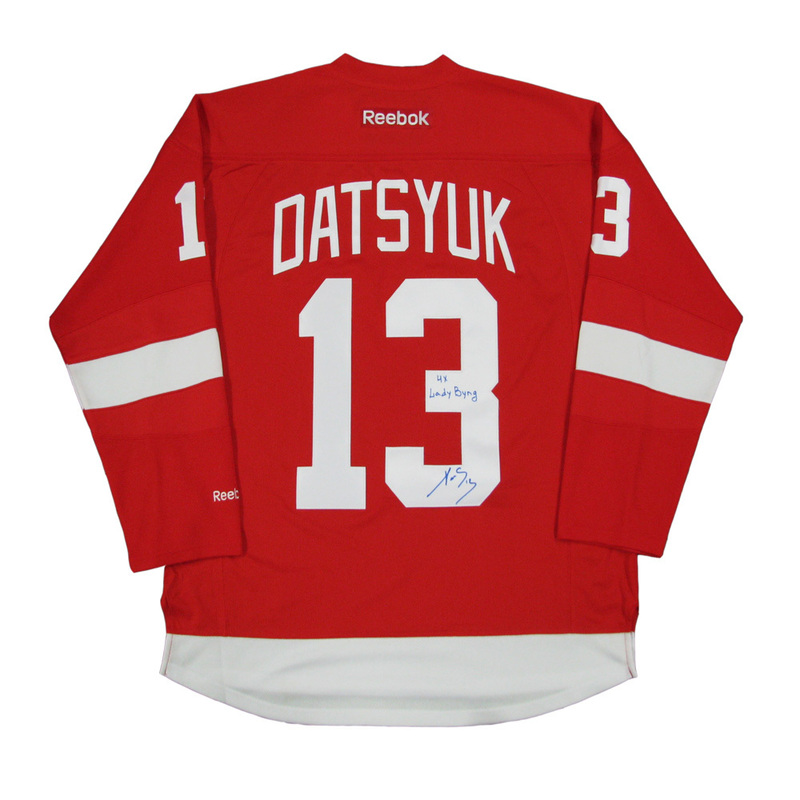 Autographed Pavel Datsyuk Detroit Red Wings Red Reebok Jersey inscribed "4x Lady Byng." All Detroit Red Wings Jerseys are LOCKER ROOM SPORTS The Official Lettering Company of the Detroit Red Wings. This jersey would make a terrific addition to your collection. All of our Autographed Memorabilia comes with our Certificate of Authenticity. Thanks and GOOD LUCK ! !